I hope you are doing well! Can you believe that the month of January is gone already? Wow, where does the time go? I hope your holidays were wonderful and it was a refreshing time for you! I am with my two friends Sarah from England and Sarah from the States. and how much that He has grown me during my time there! It was such an encouraging time to be able to get away for those two and a half months with the Lord and just spend time seeking Him along with around 300 people (that is a combination of the students and the staff). It was awesome to come together with people from all over the world as we sought God together. There were almost thirty nations that were represented at the school. People came from all over the United States, Canada, the United Kingdom, and Europe and even as far as Australia! It was a little taste of heaven as we gathered together from all over the world! me way beyond my “comfort zone” being that I was outside my area of familiarity with another culture, learning to use latrines, bucket bathes, etc. The classes were amazing, they were times where we could spend time in God’s presence. We had lots of time of worship, prayer and really great teachings. Some of the topics were on: our identity in Christ, the Father’s heart of God, walking in love and humility, hearing to hear the voice of God, intimacy with the Lord. We had classes from Monday to Thursday mornings, with opinion afternoon workshops and two evening classes a week. We also had combined classes with the Mozambican Bible College students during the week as they had their school the same time that we did. mission base, etc. The ministry that I did was I taught English to the children at the Noviane village with four other students. I really enjoyed teaching English to the children every Friday afternoon. The lessons were pretty informal where we sang songs, played games and taught them some very Basic English like greetings, numbers, colours, etc. I am very grateful for the close friendships that I made with those kids and for the opportunity to love on them! 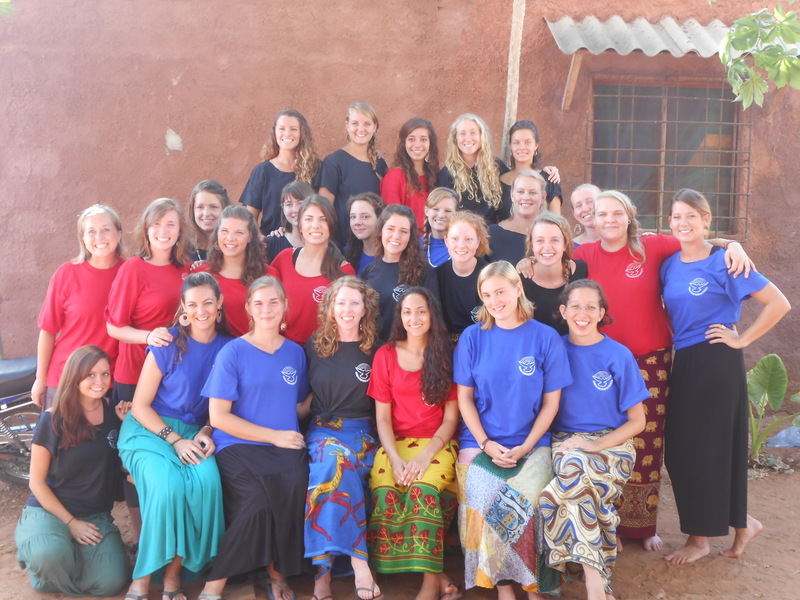 As part of the mission school program all the students were a part of a colour group that was also combined with the Mozambican Bible College students. We went on outreach together, did our village immersion together, served in the kitchen, did a drama presentation on a missionary at class (my group chose Jim Elliot) and we also did other activities too. I absolutely loved my rose colour group. I grew really close to all of them and they taught me so much how to love, serve and flow in the prophetic. They were all so incredibility encouraging and so passionate for the Lord! Holding one of the girls on my outreach weekend. presence as we prayed and worshiped Him. It was also a great team bonding time for us all too! We arrived late Thursday night around 1:30am in a village which is about ten hours north of Pemba near the border. The Friday was a full ministry day where we had a children’s program for the kids in the village, we went to different houses to pray for people and we greeted the chiefs in the village in the morning. Then late in the afternoon we went to another village to do an evangelism outreach service. By that time in the day it started to rain and then later it just started to downpour on us. I thought to myself how it would be for the evangelism service but it was really amazing how people came anyway. Wow, the hunger that people had to know the Lord and to have hope was amazing! We shared our testimonies, preached the gospel, prayed for the sick and showed them the Jesus film. It was so awesome to see how God healed people and lots of people gave their lives to Christ too! Then Saturday morning we left to go back to the Iris mission base in Pemba. 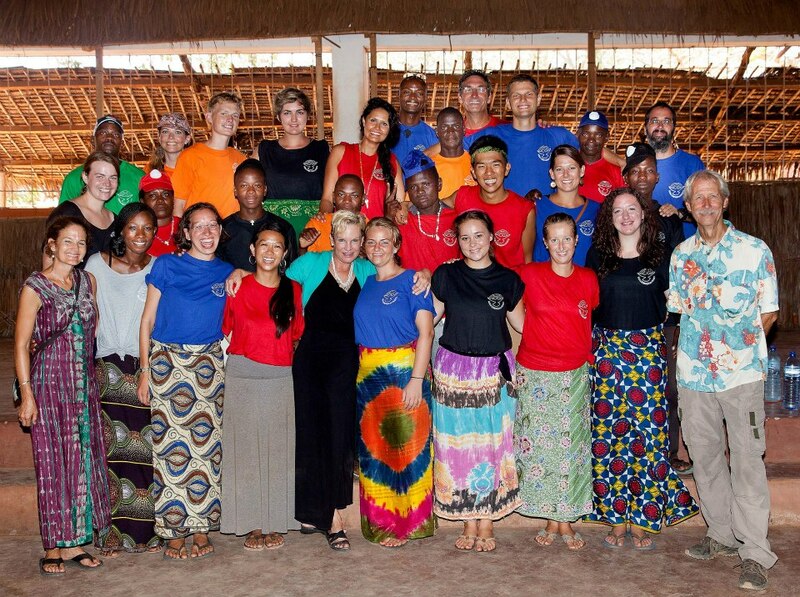 A picture with my immersion Mozambican family. Mozambican family over a 24 hour period right in their house to be able to truly experience their culture! I did my village immersion weekend with three other girls from my colour group and I had such an amazing time with our family! 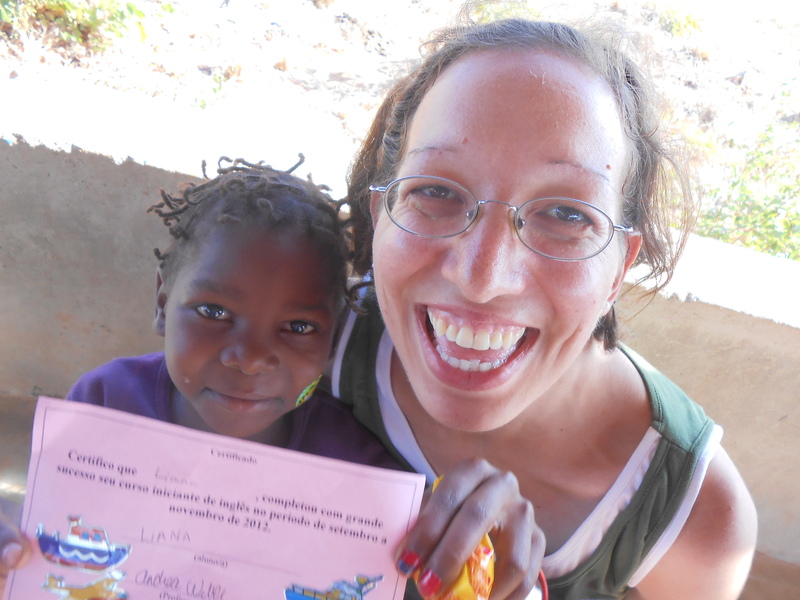 Mama Laura hosted us from Friday November 16th to Saturday November 17th. She had five children (her husband wasn’t home when we were there), they were all so very sweet and some children from the neighborhood came over too. It was a lot of fun to play with the children but it was also very interesting to me to learn how they cook, learn how they eat, go shopping at their market and just how they live their daily lives! Our Mama was just so amazing how she wanted us to be a part of everything and teach us things. 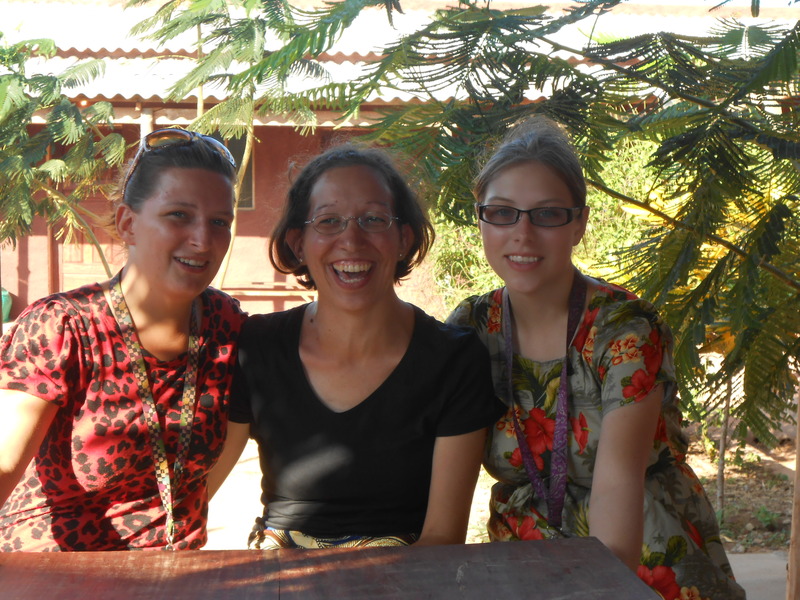 I felt truly blessed to have that experience with that incredible Christian family in the village! One of my immersion Mom’s sons. never forget how God encountered me on graduation day on as I rested in His presence on the floor. The Lord spoke to me so very clearly and told me over and over again that I am not an orphan but I’m His beloved daughter. He kept telling me to stop living like an orphan – to stop coming to Him with that begging attitude, to stop striving or stop being in that pleasing performance but instead to live knowing that I am His daughter and He is my Abba Daddy. Wow, it was such a huge revelation to me! My Rose colour group at graduation with the school’s leadership. “acceleration” for this year which I believe that it is also prophetic too because it means an increase in the rate of speed. I honestly feel like I have just been falling in love with Jesus all over again since I came back to Romania as God has been calling me more and more into the secret place with Him. At the end of December I started journaling with the Lord which has really helped me grow so much in Him especially with learning to hear His voice more. I feel so encouraged how God been continually growing me even now into the prophetic as well! I praise God for His constant provision in my life of how He continues to take care of me! I praise God for the freedom that I have in Him as I am His daughter and He is my Abba! I praise God for Him calling me to spend more time in the intimate secret place with Him! For God to continue to stir up a deeper hunger and desperation for Him every day. For God to continue to speak to me about what He has for me in the future. For God to continue to work in the hearts of the gypsy children and families in Sabolciu. Hi admin, i’ve been reading your content for some time and I really like coming back here.